Family sized Loaf. Amazing bread for sandwiches or toast. 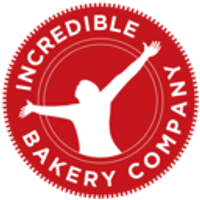 All products made by the Incredible Bakery Company are gluten free, egg free, dairy free, soya free and vegan. Craft loaf made in the Incredible Bakery in Warkton, Northamptonshire that has no contact with any of the 14 common food allergens defined by EC Regulations. Ingredients: Water, gram flour, white and brown rice flour, potato starch, tapioca starch, golden linseed (14%), cold pressed rapeseed oil, stabiliser: xanthan gum, raising agent: yeast, psyllium husk, unrefined sugar and sea salt. Shelf Life: 7 days at room temperature, 14 days at chilled temperature, 3 months frozen. Shelf Life: Average 7 days at room temperature. 14 days at chilled temperature. Suitable for freezing for 3 months. Provenance: Made in Northamptonshire. Made in the UK. Allergen Information: All products are gluten free, dairy free, egg free, soya free and vegan. Love it! The best GF loaf I have ever tasted. Great tasting bread. It freezes well and keeps for several days once defrosted. Unlike many gf loaves these are a good size and have a good texture. Needs to be sliced quite thickly and, like all gf breads it’s best lightly toasted or heated in the oven. This along with the red quinoa loaf is about as good as gf bread gets in my experience. This is the best loaf of bread I have ever purchased, that be fresh made or store bought. I really enjoyed this as a morning snack, toasted especially. You will not be disappointed with this product and I have rated four of there products and this is the only one I was happy with. Love this bread. Easy to slice, even when defrosted. Good as a sandwich and fabulous as a toasted sandwich. Thoroughly recommend! This bread is a little delicate but it slices very well and as long as you are gentle buttering it makes really, really good sandwiches. I've always been gluten free so can't state wether it tastes like ordinary bread or not. After my husband discovered that he is gluten intolerant we searched high and low for a decent tasting loaf of bread. This is the closest yet to wheat bread in taste and texture plus it was almost a normal sized loaf. (Most of the pre packed loaves are only 300g.) It lasted around 5 days in the bread bin. It's too expensive to buy online all the time but, luckily, this bread is sold in the GF shop in Diss Norfolk, not too far from us. How refreshing to be able to taste soft bread again. This is by far the best loaf of bread I have eaten in 10 years. Needs to go to all the supermarkets although happy to buy direct.